Frugal Tractor Mom: Our Pest Killers! I have talked about my chickens and how much I love having fresh eggs all the time. But we have come to realize a great benefit of "my girls" wondering around my house...they are my pest control girls! Yep that's right! These girls are getting rid of not only the fire ants but they are getting the creepy, crawlies that try to invade the house! I have caught them eating spiders and even crickets all around the outside of the house. 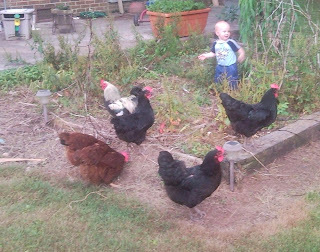 I still think the best thing is the fire ant controller that our chickens are. I don't worry about the kids playing in the yard and getting into the dreaded ant mounds, being stung alive before they know it! Our chickens go back to thier coop every night as soon as the sun goes down. 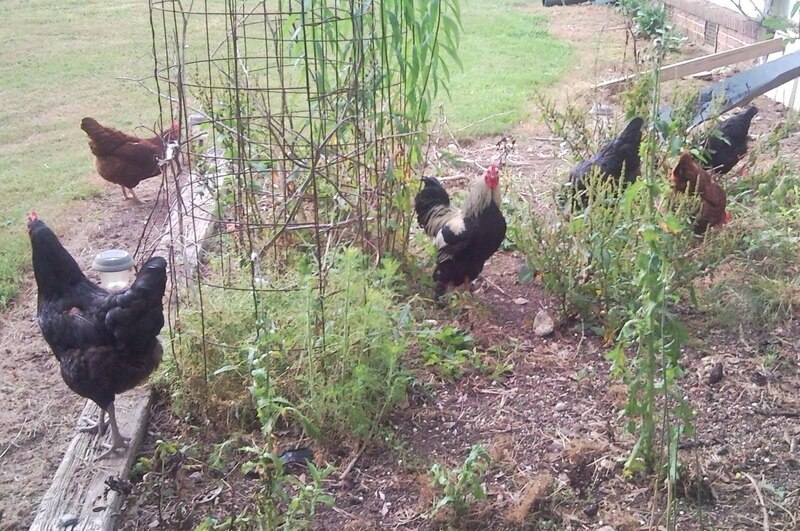 We usually keep the chickens in thier coop until we come home. We like to be at home when we turn them loose. 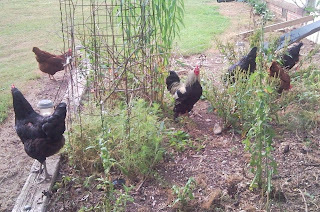 The wildest thing about these chickens is that the they will go right up to the road but have never gotten in the road! Hopefully, they won't have us asking the question, "Why did the chicken cross the road?" You've convinced me. 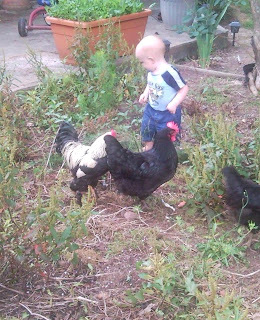 I need to get a pet chicken: free fresh eggs and an exterminator! Love it. I so enjoy reading your posts. Thanks Tractor Mom! I'm adding this to the long list of reasons I want chickens!